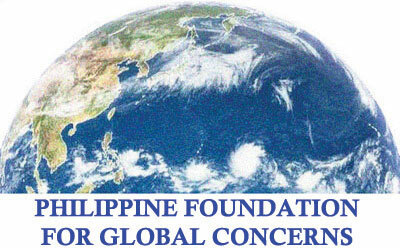 The Philippine Foundation for Global Concerns, Inc. (formerly the APEC Foundation of the Philippines) is a private foundation which was established in May 1996 to promote and support activities relating to globalization, regionalism and international competitiveness. It serves as the International Secretariat for the APEC Business Advisory Council, the body established by APEC Leaders to provide advice on the urgent issues and challenges confronting businesses in the region. It also serves as the Secretariat for the Philippine National Committee for the Pacific Economic Cooperation Council (PPECC). The Manila Economic and Cultural Office (MECO) is tasked with promoting people-to-people relations between Chinese Taipei and the Philippines in the areas of trade, investments, tourism, culture and education among others. It is an ISO compliant organization with headquarters in Manila and offices in Taipei, Taichung and Kaoshiung. Stratbase is a full Advisory and Research Consultancy Firm that bridges the gap between private and public sectors. We are reworking ways in which power and ideas are harnessed through innovative research, information and networks. We hold the key and the proven expertise to assist in your company's fluid access into the intricate corridors of Philippine investment and government relations. Whether your goal is to promote public awareness for your corporate and legislative interests, initiate or improve your relations with key decision makers in government, push or oppose legislations or regulatory policies, build coalitions with various civil society groups or develop a better public image, we customize our services to suit your corporate needs. Stratbase is reworking the ways in which power and ideas are harnessed at the strategic levels of government. We aim to achieve progressive changes in Philippine society for the common good. Our political and media networks combined with our strategic orientation, creative ideas and perspectives, can make a difference for your specific corporate interests. We enable our clients to safeguard their interests and realize their agenda by aligning government and private sector initiatives towards the pursuit of shared goals through our portfolio of competitive edge services in the field of Investment Advising, Political Management, Public Advocacy, and Strategic Research. We believe that there is no substitute for the highest levels of experience, integrity, quality service and bi-partisan access. First United Broadcasting Corporation or FUBC is a licensed corporation that has a congressional franchise under RA 8699 that can operate a Direct To Home (DTH) Satellite service as well as radio and TV broadcast. With such license and permit from the National Telecommunications Commission or NTC, GSAT Satellite TV (GSAT) and Global News Network (GNN ) was born. It was in 2008 when GLOBAL SATELLITE (GSAT) started. It is the best alternative source of international entertainment and information in areas beyond the reach of cable television. It was born out of response to the growing demand for a better direct-to-home satellite TV provider across the Philippines. GSAT aims to carry communication and entertainment services in an affordable package that would cater to the general public. Its programming is centered on offering wide range of genre to entertain, inform and educate the viewers. It also offers multi-cultural and international content geared at providing diverse source of viewing pleasure. Ultimately, G SAT envisions itself to be the biggest and widest satellite TV provider in Asia - reaching every home and touching every heart – wherever you are. GLOBAL NEWS NETWORK (GNN) is a dedicated news and current affairs channel. In 2008, GNN was able to get an NTC permit to operate UHF or Free to air stations nationwide. Moreover, about 300 local cable operators in the provinces, thru its linkages with the Philippine Cable TV Association (PCTA), are also carrying the channel including SKYCABLE channel 213, destiny cable channel 8 in Metro Manila. GNN is also shown over Global Satellite TV (GSAT) for remote areas in the country not reached by cable TV. GNN over the past three years was able to establish itself as a channel that informs and educates. Its programming continues to improve and to uphold its thrust of eventually empowering the Filipino nation. Anchors are experts in their field and offer in-depth analysis to help you survive and be ready to face today's changing times. FOTON is exclusively distributed by United Asia Automotive Group Inc. (UAAGI) in the Philippines. Since its inception in 2007, UAAGI has grown leaps and bounds in every aspect of its business. Now, FOTON is already an established brand in the Philippine commercial vehicle segment. It has a product offering spanning across 4 lines. These are: Passenger Vehicles (5 models), Light Duty Trucks (7 models), Heavy Duty Trucks (6 models), and Heavy Machineries (5 Models). FOTON Philippines is also composed of 18 dealerships all over the country offering vehicle sales, parts sales, and service. They also have a network of 46 accredited Service Centers for Passenger Vehicles and Light Duty trucks and 7 sales offices for their Heavy Business Group. Illuminare envisions a greener, cleaner Mother Earth that sustains a healthier and a happier population. She has endowed us more than enough resources for our energy needs and it is Illuminare's mission to harness nature's blessings, by making available new technologies that generate green energy to stop our dependence on fossils. Illuminare offers energy solutions from the sun, through our photovoltaic system; solutions from the wind through our wind turbine technology and solutions that turn waste to energy.